The audio below is a three-minute excerpt containing the Mahaney quote above. It is taken from a sermon Mahaney delivered at Mark Dever’s Capitol Hill Baptist Church on March 30, 2003. You can listen to the complete sermon here. The sermon is 60 minutes in length. Be advised the first 15 minutes are the usual Mahaney fare of jokes, flattery and small talk. This is a small way we can say thank you is this is a large way we can say thank you. Not to impress anybody is to impress everybody. Not to draw attention to me is to draw attention to me. Mahaney has shown himself to be an expert at self-promotion and ingratiating himself to the powerful Christian celebrities. His throwing $10,000 Mark Dever’s way had, in my opinion, nothing to do with what he claimed, rather, it had everything to do with purchasing Dever’s friendship. Why does a man from a wealthy church donate the church’s money to another wealthy church that is not even in his denomination? I wonder who approved this use of funds? Was Mahaney able to freely throw Sovereign Grace’s money at whomever he wanted or was there a board that had to approve it? 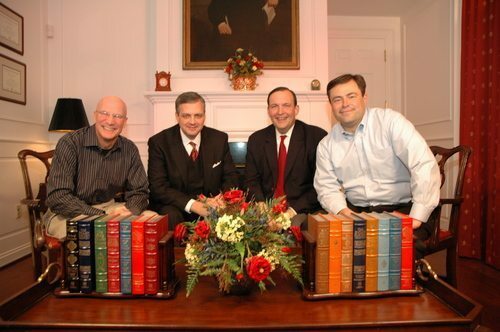 We know that a few years later Mahaney donated $200,000 of Sovereign Grace and Covenant Life Church funds to Al Mohler’s Southern Baptist Theological Seminary. 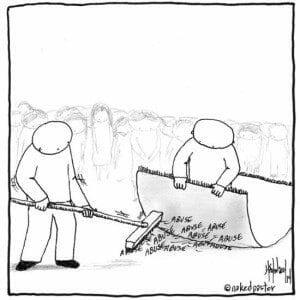 Meanwhile, there are numerous stories on the Survivor blogs of Sovereign Grace members taking extreme measures to tighten their personal budgets so they could sacrificially donate more money to their local SGM church. Additionally, I am certain there were numerous churches in the Sovereign Grace family of churches who really could have used that money. I was once a member of the Sovereign Grace in Gilbert, AZ. We had a paved parking lot in the front of the church, but the parking lot in the rear of the church was and still is, gravel. I recall the church discussing, on at least two occassions, the desire to pave the rear lot. Ultimately it was never done because of lack of funds. I am certain that $210,000 could have paved that gravel lot several times over. Instead, it was used to propel Mahaney into celebrity status. We will probably never know how much money Mahaney gave to increase his stature. We know that he also gave money to Wayne Grudem, although we have no idea of the amount. 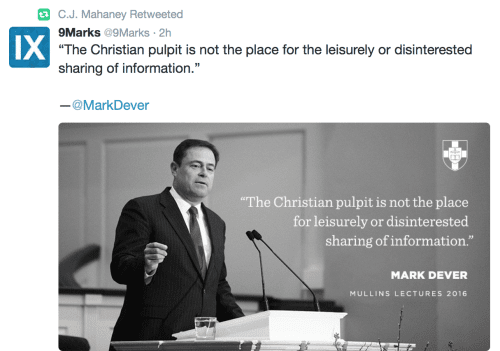 Ironically, after listening to Mahaney’s fluff for the first 15 minutes of the sermon linked to above, I came across this Tweet of Mark Dever’s, retweeted by Mahaney. It’s hard to believe that Christians are paying good money to listen to these clowns preach! Dever and Mahaney have been best pals for years, as a matter of fact, in the sermon linked to above, Mahaney calls Dever his instructor. 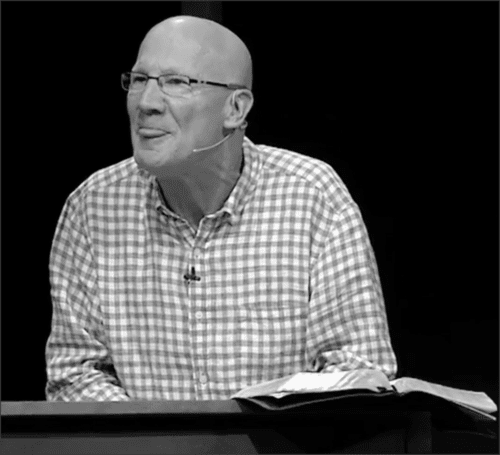 I wonder if instructor Dever has ever chastised pupil Mahaney for his clowning around in the pulpit? 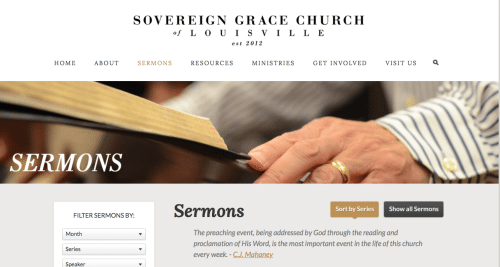 Then we have this quote from the Sovereign Grace Louisville church website: “The preaching event, being addressed by God through the reading and proclamation of His Word, is the most important event in the life of this church every week.” Really? I would guess that Mahaney really believes it if only because he thinks whatever he utters is of utmost importantance. Todd, is there a way just to email you? Wanted to share a little but don’t want to post it. If not, I’m sure your busy. Not a big deal. Thanks. It’s listed on the “About” page, but that is not readily apparent. My partner and web-person extraordinaire will be looking into ways to make it more obvious. Good point about most pastors (and I imagine even more so in Mega Churches) typically surround themselves with “yes men.” A good and secure leader will surround themselves with leaders that will tell them more like it is. A parallel to surrounding oneself with yes men is what is described as a submissive pyramid that occur in many cult and cult like groups. People move up in these groups based on how well they submit to those “above” them in the pyramid and how well they can control those “below” them in the pyramid. Back to the subject of your blog, it sure is something that Mahaney can so freely spend money using contributions that a number of families had to make real sacrifices to make. It is one thing if the money people give used for a good purpose but not this use. Steve, I read that link and it is interesting. Thanks. I would like to read some of his books, but not sure when I will be able to get to them. To put Todd’s “problem” another way is that Todd thinks for himself and questions just like what I try and do. When Todd sees something that doesn’t make sense or when leaders actions aren’t in accordance with what the bible teaches and especially when these leaders actions contradict what they themselves have taught Todd points this out rather than glossing it over. At least we know what Todd’s and my “problem” is. My thinking for myself and questioning certainly created quite a “problem” when I was in a few groups that mostly valued conformance and didn’t like people that questioned. It was hard dealing with the hypocrisy where the leaders claimed to be one way but their actions showed something else. I am glad that I finally left. A shame it was before the internet where it was easier to share thoughts like these. I have shared this before but this is a favorite story that I have posted (story by someone else) about the need to think for yourself. Thanks for the link Steve. That was a good read. I am a bit of a skeptic, as I suspect you are too. I have never had a problem with questioning authority, although the same can rarely be said for the authority! I have always believed the best leaders are those who surround themselves with the brightest people and then encourages them to speak their minds freely and honestly. I guess that is the reason I have met very few pastors who I consider good leaders. They surround themselves with yes men. Those who dare question him are culled from the herd. Todd, I realized today what your problem is. Do you know what your problem is? You know and understand the Scriptures. You understand what Jesus says in the Bible. That’s your problem. I’m amazed at the number of people in church who do not read the Bible, read it very little and even more at those who read it, but it doesn’t seem to penetrate their understanding. See if you didn’t know and understand the Scriptures, you would be off playing golf, watching movies, making more money, or other things, when you’re not working your 40 hours a week. See what you are missing? I have to tell you, you crack me up and your posts are incredible! May the LORD bless your efforts for truth and repentance. Thanks for your kind words! I do try to understand the Scriptures, although I must admit there is much I do not understand. Glad you like the blog. I am not sure all are as appreciative of my rather dry sense of humor. Hey Buddy!, I found this information for you: "CJ Mahaney Freely Gives Denomination Funds". Here is the website link: https://thouarttheman.org/2016/02/24/cjdenominationfunds/. Thank you.